362 pages | 60 B/W Illus. Bringing creativity and innovation into all professions and types of auditing today, this book meets the needs of auditing practices in the future. Recent criticisms of auditing practices by financial regulators, the traditional ‘expectation gaps’ between auditors and auditees and the continuing advances in technology make it even more important today to motivate creativity and innovation in the professions of auditors, be they internal, external, quality, environmental, social, clinical and so on. 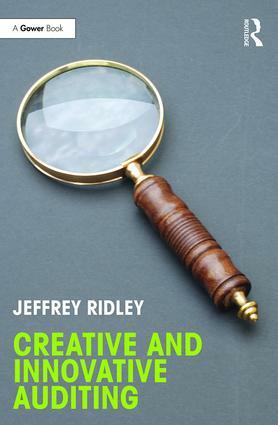 In Creative and Innovative Auditing, Jeffrey Ridley studies all auditing practices, not just internal auditing, using an innovation model he has developed through research which is applicable to all auditing organisations and professions. He shows how motivating innovation in auditing practices will address the needs of today and tomorrow’s auditing of governance, risk management and control. 10.2 Who Are the Customers of Auditors? C How Good Is Your Culture? Jeffrey Ridley was appointed a visiting professor of auditing at the London South Bank University, UK, in 1991, a visiting professor of corporate governance assurance at the University of Lincoln, UK, in 2013 and a visiting professor of corporate governance at the Birmingham City University, UK, in 2017. He is a Fellow of the Institute of Chartered Secretaries and Administrators and a Fellow of the Chartered Institute of Internal Auditors. His auditing experience spans both the public and private sectors. Before his academic career he was a senior auditor in General Motors Limited for three years and manager of internal auditing in Kodak Limited, England, for twenty-eight years. Prior to his industrial experiences he was a member of HM Government’s Overseas Audit Service in Nigeria for ten years. During the past twenty-three years he has taught at undergraduate, postgraduate and now doctorate levels in London and has spoken at many conferences, nationally and internationally.